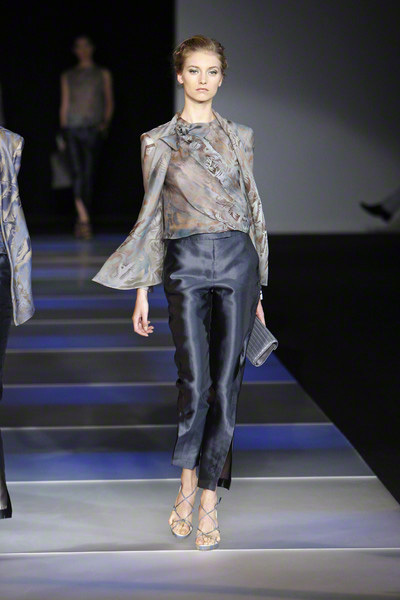 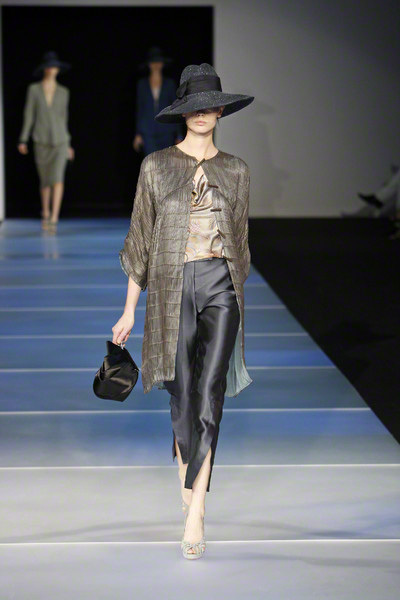 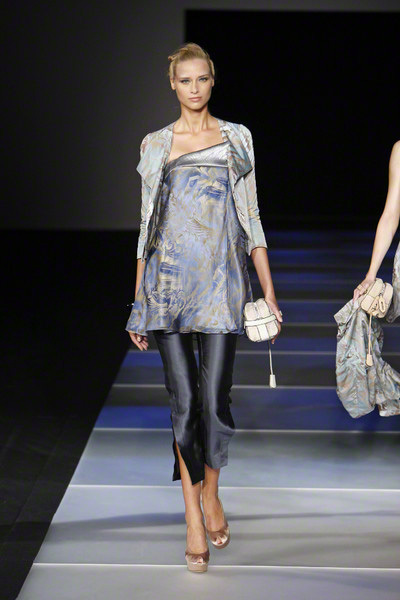 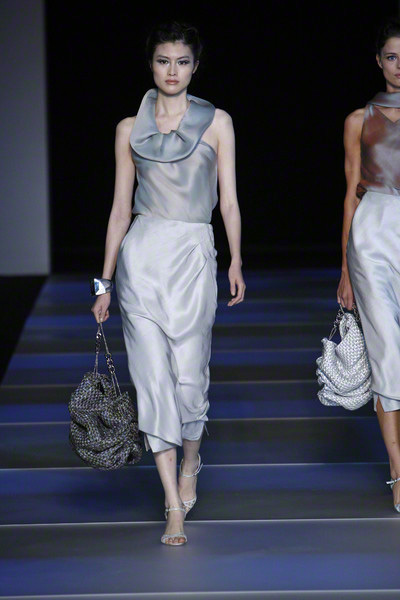 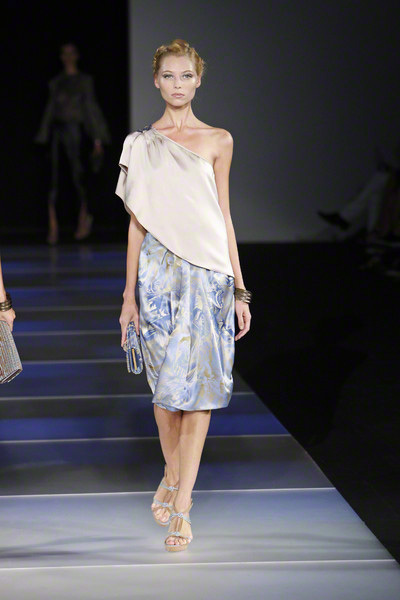 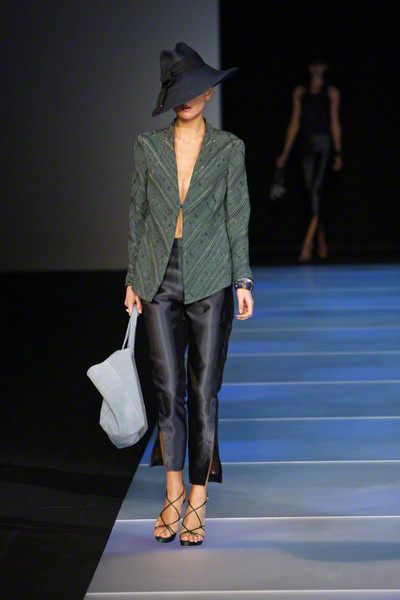 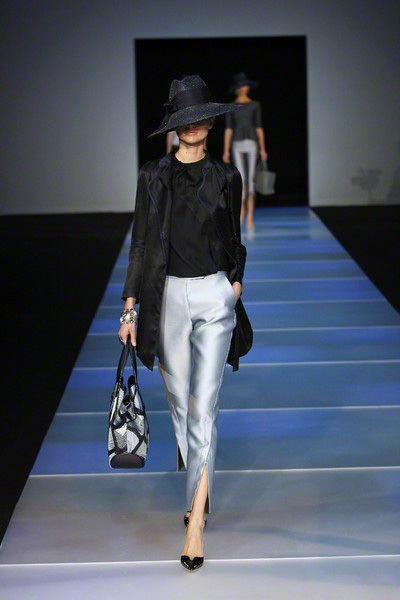 With the Milan Fashion Week coming to an end Giorgio Armani presented his new collection this morning. 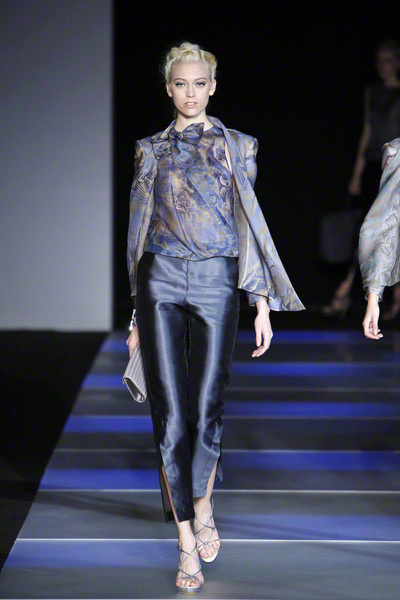 A luxurious collection full of shiny silky designs. 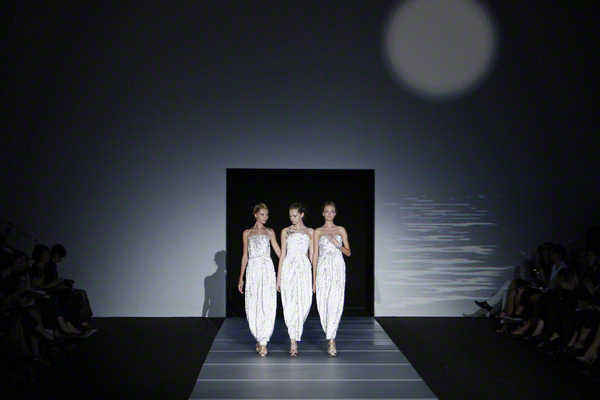 The looks were clean and simple but never dull. 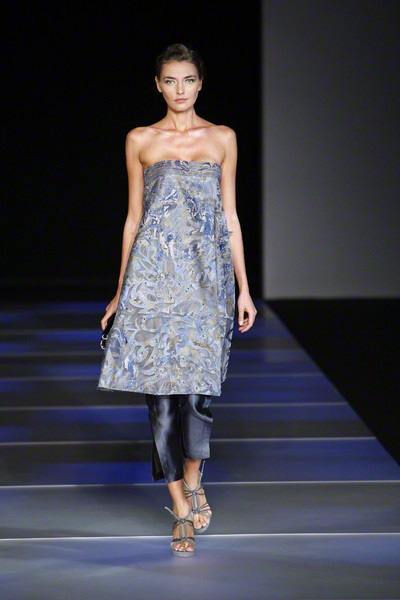 Low V-necks, sheer fabrics and the beautiful use of material made sure of that. 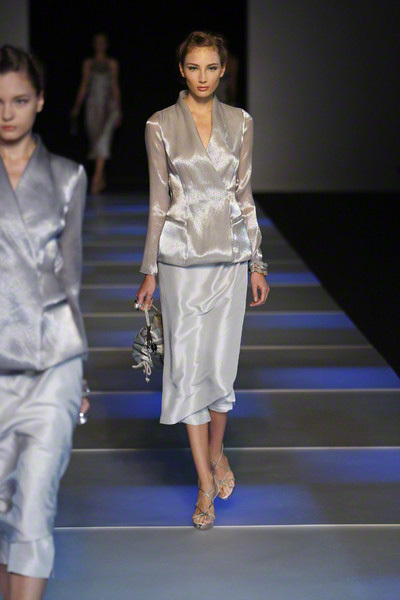 There was a lot of diversity in the looks; for every cute dress Armani made a shiny pair of pants too. 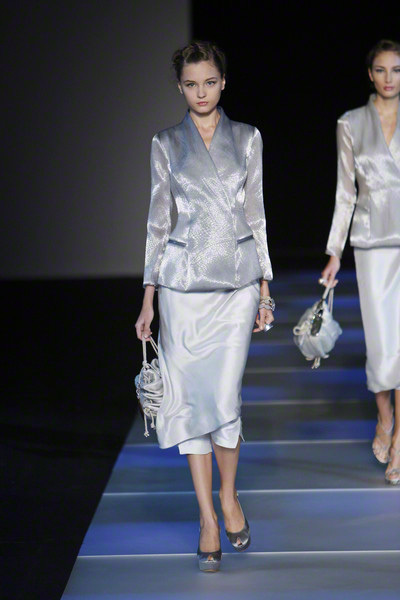 Giorgio Armani’s spring women did feel somewhat middle-aged yet she looked stunning in his over the knee skirts, asymmetric dresses and pleated jackets. 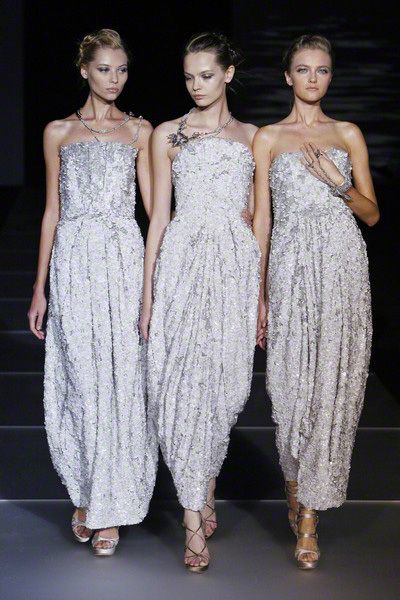 The ending was gorgeous with three models in long sequined dresses appearing on the runway. 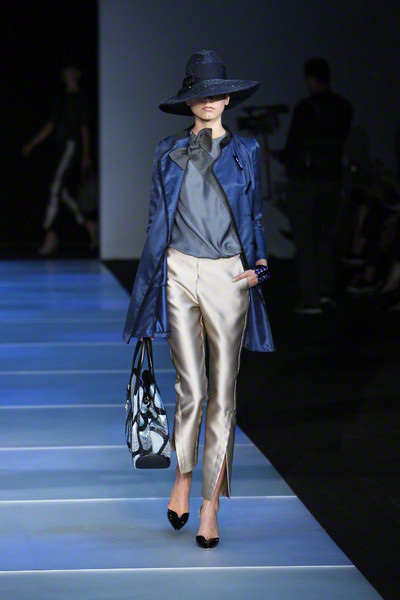 It just was a great collection, although we would have loved to see some extra color.